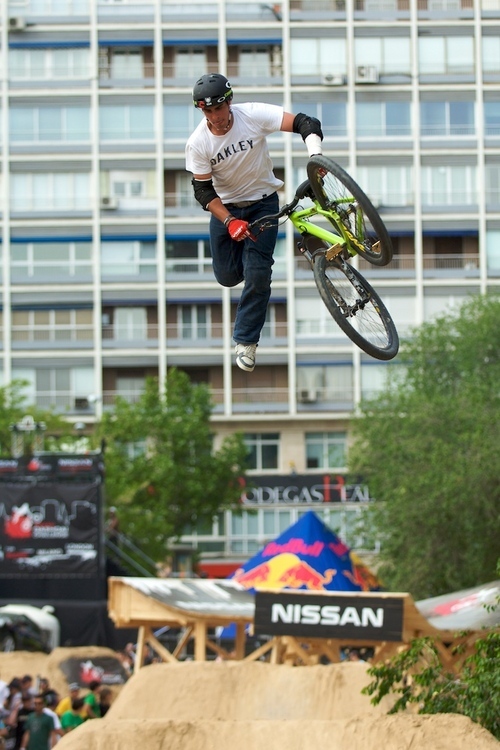 Andreu Lacondeguy gewinnt in Madrid! It was an amazing day at the Santiago Bernabeu Stadium, the home of Real Madrid. 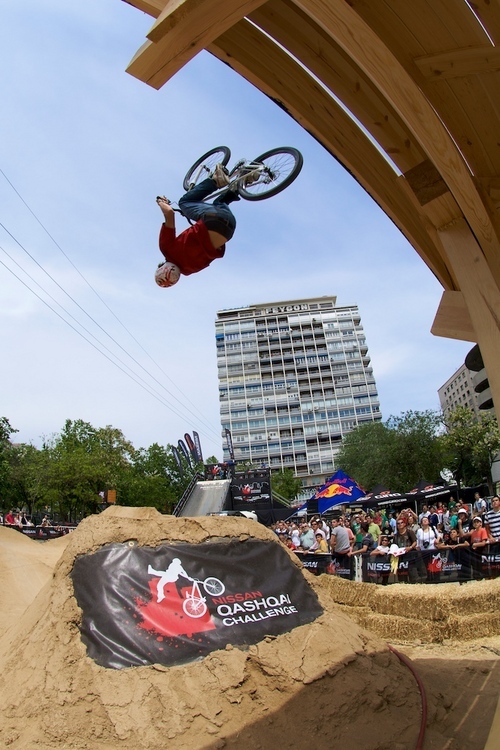 Nissan’s course design team built the best Qashqai course yet and the riding was absolutely through the roof! The Nissan Qashqai Challenge Series is really coming into it’s own, the courses are getting better and better, the judging panel is working very well together and the LIVE time results are quick and accurate on the venue’s flat screens. With beautiful weather, a local DJ spinning smooth euro beats throughout the competition, and live local hip-hop show, it was a great day in the heart of Madrid. 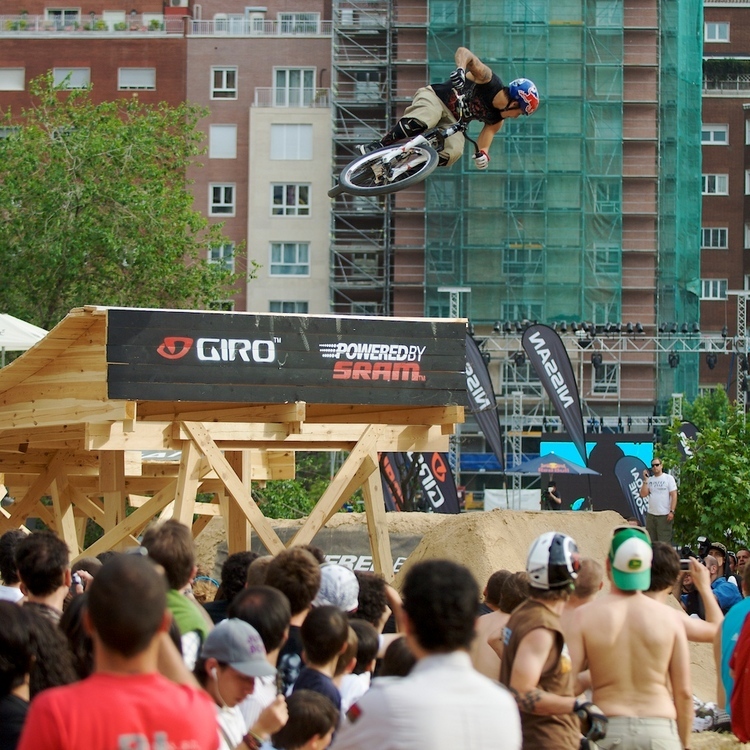 In the finals, Andreu Lacondeguy blew everyone away and scored the highest score of the day with a Superman back flip, into a 360 on the step up, to turn-down on the step down, to a huge extended superman, followed by a clean 360 tailwhip to pedals. 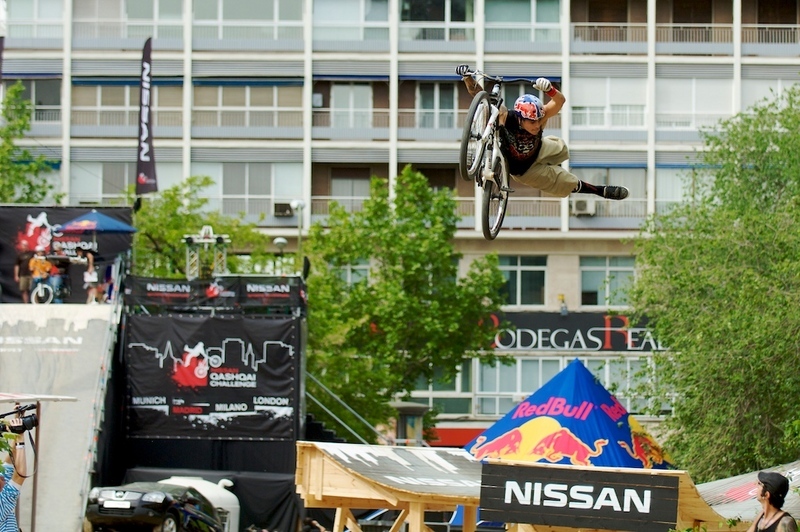 Greg Watts was close with a suicide back flip to barspin, into a no-footed cancan on the step up, barspin on the step down, superman seat-grab, into a truck driver to reverse bar spin. 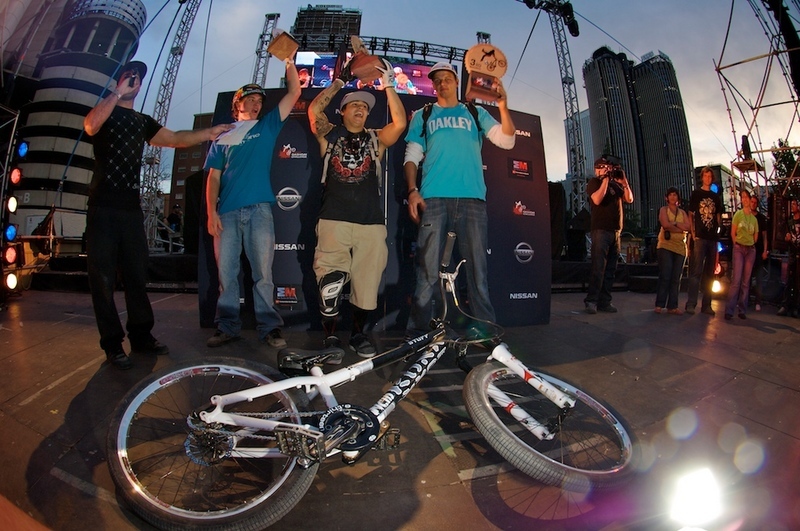 Benny Korthaus pulled of the biggest 360-tables of the day and a couple perfect 360-whips, Kyle Strait had his double whips dialled, and Amir Kabbani showed off also rode incredibly well rounding out the top five. The competition for the final 5 qualifying slots in Munich and London was incredibly tight. Mitchell Chubey, Bartek Obukowicz, Alex Reveles, Tyler McCaul and Andi Wittman can prepare themselves for the big battle urban freeride, which starts next weekend in Germany. Indian Air by Lacondeguy. Zauberhaft. The young riders in contention were riding smart and putting together amazing runs. 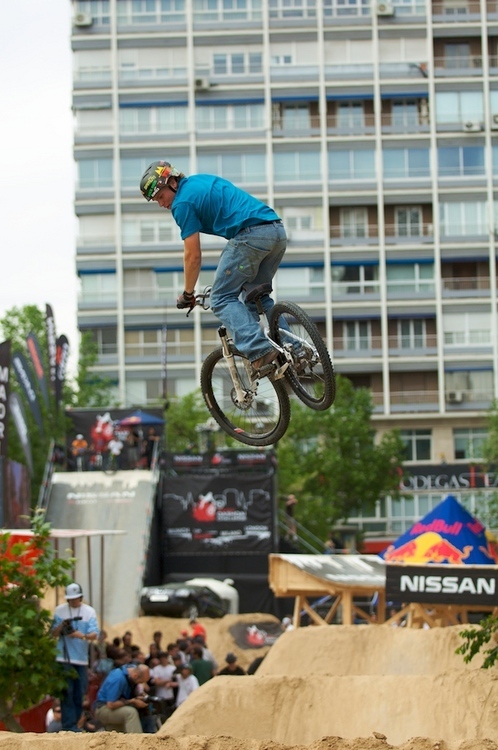 In a classy move, the organisers, that were so impressed with the level of riding in Milan and Madrid, that they decided to collaborate with the judges and award 5 additional wildcard slots to bump the final rider line-up from 25 to 30 riders at the next two Nissan Qashqai Challenge events. The riders are Martin Soederstroem (winner of Milan’s qualifying), Marius Hoppensack (10th in Milan), Andrew Taylor, Geoff Gulevich and Cameron Zink who are showed all a solid performance in Madrid.